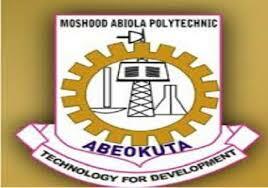 Moshood Abiola Polytechnic, Abeokuta, MAPOLY Notice to all Students Having Issues with Payment of School Fees for 2018/2019 Academic Session. This is to inform all categories of students of the Moshood Abiola Polytechnic, Abeokuta that the problems relating to payment of school fees have been fully resolved. Recommended: MAPOLY School Fees Schedule 2018/2019 Session | Full-Time & Part-Time.